Hi guys! It's Tara and I am so incredibly excited to be sharing the first installment of my Handmade Halloween 2016 video series with you today! 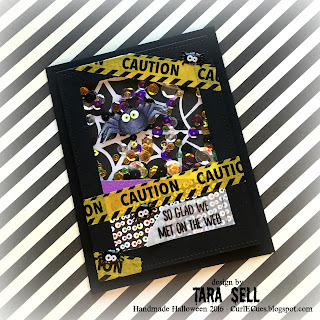 And it's featuring the amazing Bats Halloween stamp set from Gerda Steiner Designs! I have been looking forward to doing this series again since it ended last year so I really hope you enjoy it! 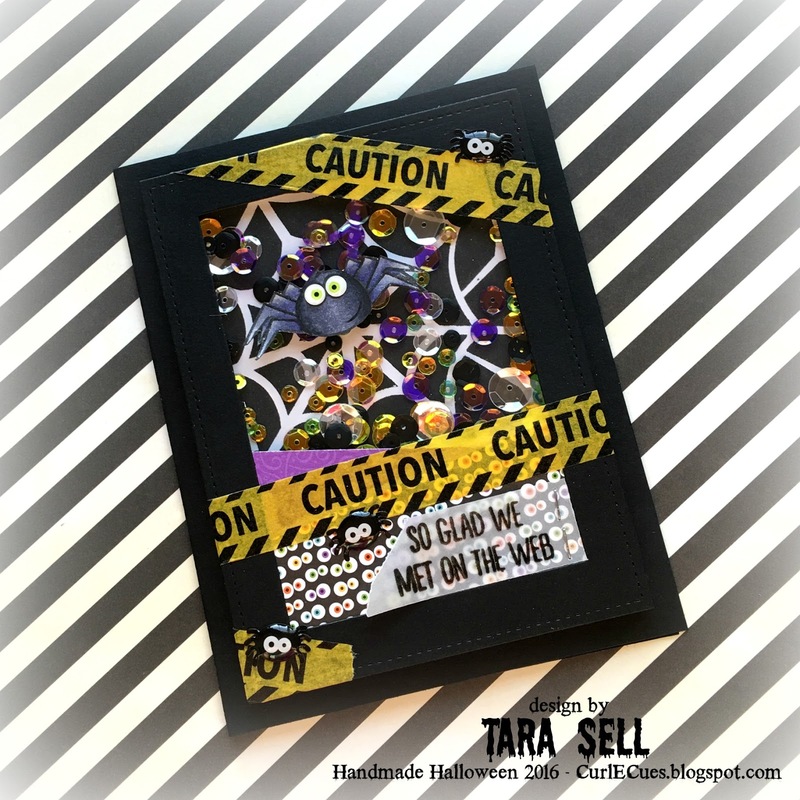 For this card I wanted to create a fun shaker card using the super spooky sweet spider from the stamp set. 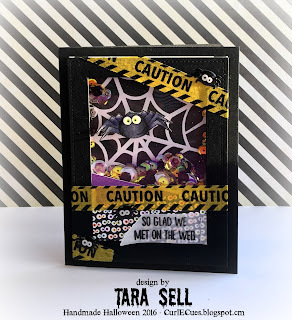 I have a fabulous spider web stencil that I just knew would go great with him! I also just picked up the new Doodlebug release and was itching to use the uber cool enamel dot eyeballs that matched the Boos and Brews paper pad! And as luck would have it, the eyeballs fit perfectly on this little spider guy! 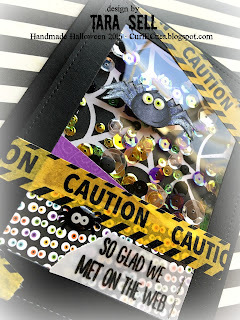 I had such a blast combining lots of spooky Halloween themed elements to complete this project! I'll be honest, this is a little busier than I usually like my cards but man did it turn out fun! And all of the iridescent sequiny goodness filling the shaker window just completed the whole design! Thanks so much for stopping by! See you all next time! Bye!